I have been blogging for quite a while. When I look back at the first few posts, it is easy to see that I have come a long way. In the beginning, blogging was a way to keep track of some of the projects that AJ did for school. It was also a place for me to share about my then new food intolerance and how I was dealing with it. It started off as a hobby, but grew into something more. Now I make a little bit of money from sponsored posts, affiliate links, and a few other things. But it also costs me money to maintain my blog. I have to pay for hosting and for my domain. Now I need to think of my blog as more of a business and less of a hobby. But that can be difficult! 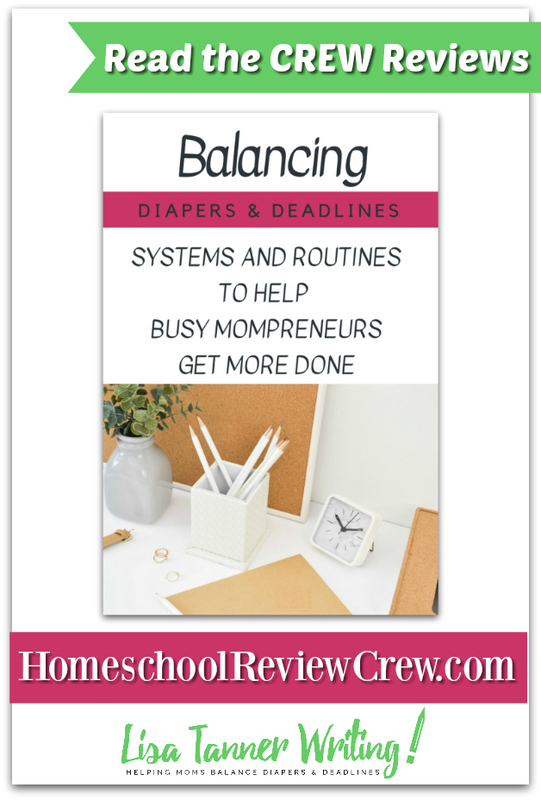 It can be hard to find time to work on a business while homeschooling and taking care of my family. I have signed up for a few different courses in the past that claimed they could help me manage my business and my home, but they were not really effective. They were just not a good fit for my situation. But I knew that something needed to change. Lately I just haven’t been able to find the time to blog with everything else going on in my life. 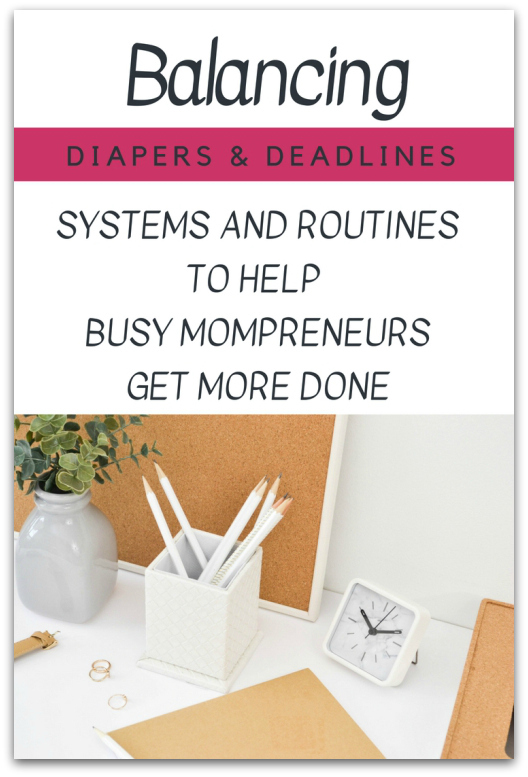 I was quite excited to have the chance to try out Balancing Diapers and Deadlines from Lisa Tanner Writing. I hoped that it would be different from other courses that I had tried in the past, and it was! Don’t let the name of the course fool you. This course is not all about dealing with young kids while running a business. 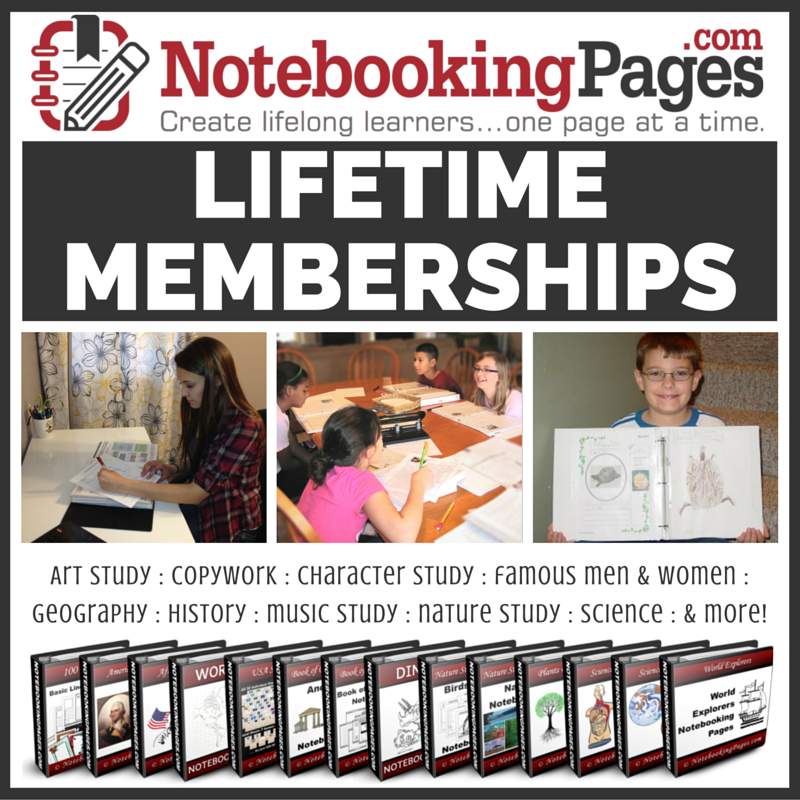 There is a section that focuses on younger kids, but there is also a section that focuses on running a business while having older kids at home. What is great about this course is that you can take away what you need and skip the section or sections that do not apply to you. This is an online course. Once you are registered and have paid for the course you select a user name and password and are able to access the course from any device that has internet access. 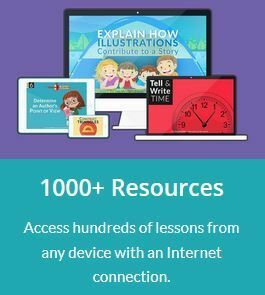 The lessons are text based and load very quickly. They are written in a friendly tone and are simple to understand. There are eight units in the course. Welcome to Balancing Diapers and Deadlines – This unit doesn’t have any lessons. It includes some background information about the author and explains what to expect in the course. Building Your Foundation with the Basics – This unit was one of my favorites. It talks about getting your family on-board with your business, flexible routines, and making plans for the days. Minimize Your Decisions – This unit is mostly about keeping your home in order so that you can have more time to spend with your family and on your business. There are a lot of helpful tips! Minimize Your Decisions: The Annual Meal Plan – This unit sets you up with ideas for breakfast, lunch, dinner, snacks, and shopping lists. Around here lunch is one of the hardest parts of the day. It was nice to see a meal plan that had lunch ideas! Sustainable Growth ~ This is a unit about taking care of yourself. You can’t take care of a family and run a business without taking care of yourself. There is a lot of practical advice in this unit! Growing a Business with Your Kids Around ~ This unit breaks up kids into different age groups and gives advice on how to manage the kids needs and the needs of your business. It also has advice about kids with special needs. A few of these lessons didn’t apply to me because AJ is a teenager, but I still got a lot out of the course. Boost Your Productivity ~ This unit goes over ways that can make you more productive. From ways to start your day off better to improving your typing speed, there is a lot of great information. Closing Thoughts ~ This wraps the course up with some additional information and resources. For each lesson there is an action plan. Sometimes they are simple like talking to your family about the goal of your business. While other times the action plan may be something more time consuming, like coming up with lunch ideas that your family enjoys to add to your menu plan. Once you complete the action plan, you can mark the lesson complete. The course keeps track of where you left off. But you can go back and reread any of the lessons as needed. I decided to read through the course without doing the action plans first. I wanted to get a good overview of the course. Now I am going through it again. This time I am doing the action steps that apply to me. I found a lot of useful information in this course. I was pleasantly surprised by the content in this course. In fact, because of some of the tips I have learned I decided to sign up as a speaker for an online conference. It is something that will hopefully take my blog to the next level, and something I wouldn’t have done in the past. It is a new adventure. I felt encouraged by the course that I could spend time growing my business, and I think you will too! AJ has a love hate relationship with writing. She loves making up stories and telling them, but hates writing them down. About two years ago we were blessed to be able to try out a writing program from the Institute for Excellence in Writing. IEW changed how AJ viewed writing and changed how I viewed teaching it. Her writing has improved so much over the last few years, but there is still plenty of room for improvement. 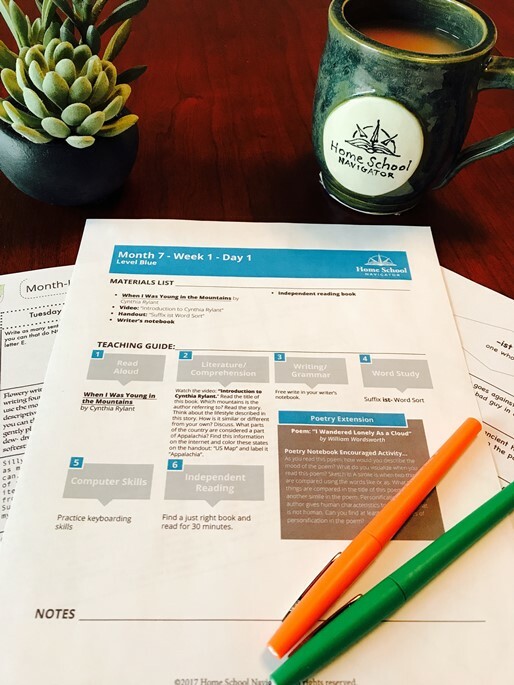 We were recently given the chance to review the revised version of the High School Essay Intensive , and I knew it was something that AJ needed. What is the High School Essay Intensive? 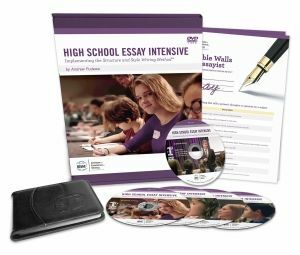 The High School Essay Intensive is a course that is available streaming and on DVD that walks the student through the process of writing an essay. The course is taught by Andrew Pudewa. Mr. Pudewa has a way of teaching that keeps your interest and makes you want to watch him. While watching the course you feel as if you are in one of his live classes. There are students in the film and the majority of his time is spent at the front of the room writing on a whiteboard. The course is broken into four sections. 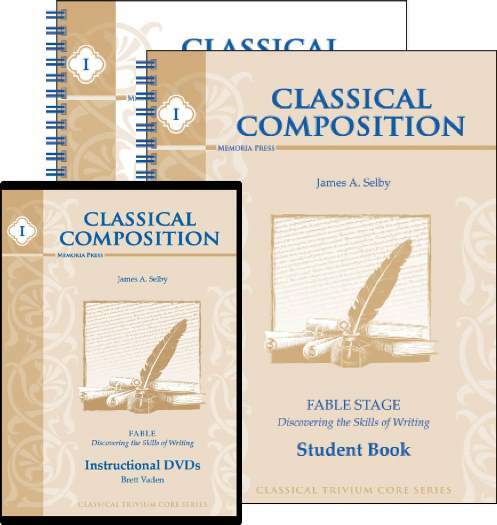 Part 1: General Strategies for Essay Writing – This section takes up two DVDs. Mr. Pudewa goes through everything you need to know about writing an essay. He covers; different types of essays, how to organize an essay and what each paragraph should contain, how to determine the structure of an essay, how to determine what to write, ideas to improve the style of your writing, and so much more. He doesn’t just tell you to write an introduction, three body paragraphs, and a conclusion. Instead, he breaks each part down and explains what to write and how to write it. Even if you have a basic idea about how to write an essay, you will learn numerous ways to improve your writing skills. Part 2: Understanding and Preparing for the New ACT Essay – This section has a DVD devoted to it. Mr. Pudewa explains the requirements for the New ACT. He goes into the time limit, grading scale, and gives tips for what the evaluators are looking for. He also provides writing strategies that will help you on the day you take the test. Part 3: Understanding and Preparing for the Redesigned SAT Essay – This section also has a DVD devoted to it. This section is set up very similarly to part 2. Mr. Pudewa goes over the new requirements for the SAT while giving tips and tricks to help you write the best essay possible. 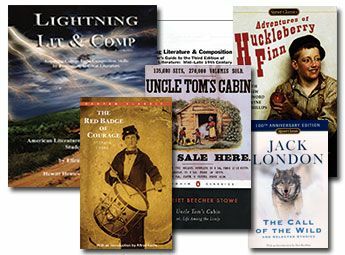 Part 4: Strategies for the “Personal Essay” – This section is on the final DVD. Writing about yourself is often a difficult task. In this section Mr. Pudewa gives examples of essay prompts from a few different colleges. 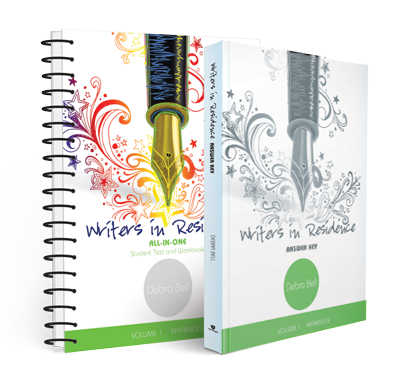 He gives strategies for what to write and how to organize your personal Essay. Along with the DVDs you also receive a 25 page student handout and the Portable Walls for the Essayist. The student handout includes an initial exercise and a final essay practice. It also has plenty of room for the student to take notes while watching the DVDs. Once your student fills in their student handout, they will have a great reference to look back on when they write an essay in the future. The Portable Walls for the Essayist is a very valuable tool. I think any student who is learning about essay writing would benefit from it. It is a foldable resource that contains all kinds of tips and tricks to help you write an essay. It is available to purchase separately, and I would highly recommend it. When AJ heard we were trying out a writing program she wasn’t too excited, until she found out it was from the Institute for Excellence in Writing. She understands the way Mr. Pudewa teaches and enjoys watching his DVDs. Since AJ hasn’t written an essay before this course was a little intimidating to her at first. But once she started to understand that an essay isn’t that hard to write, she was more comfortable. Each day I had her watch the DVD and take notes for a while. We finished part 1 and since she has a few years before we have to think about the SAT or ACT we are going to hold off on the other parts of the course for now. Mr. Pudewa took something that AJ didn’t think she could do, write an essay, and made it something obtainable. By explaining each step he made the task of writing easier. Writing still isn’t her favorite subject, but her skills are continuing to improve. We only had one complaint about this course. At times the camera would zoom out while Mr. Pudewa was writing something on the whiteboard. AJ found that a little distracting. It didn’t happen too often, but I felt it was worth mentioning. Other than that, the DVDs are very high quality. If you have a student who is planning on taking the ACT or SAT, or one who needs to improve their essay writing, then the High School Essay Intensive from the Institute for Excellence in Writing may be exactly what you are looking for.